The Roasterie was started in a basement in Brookside, and has evolved over the years into a nationally recognized coffee company. They moved into a building off of Southwest Boulevard that was a pretty plain building. 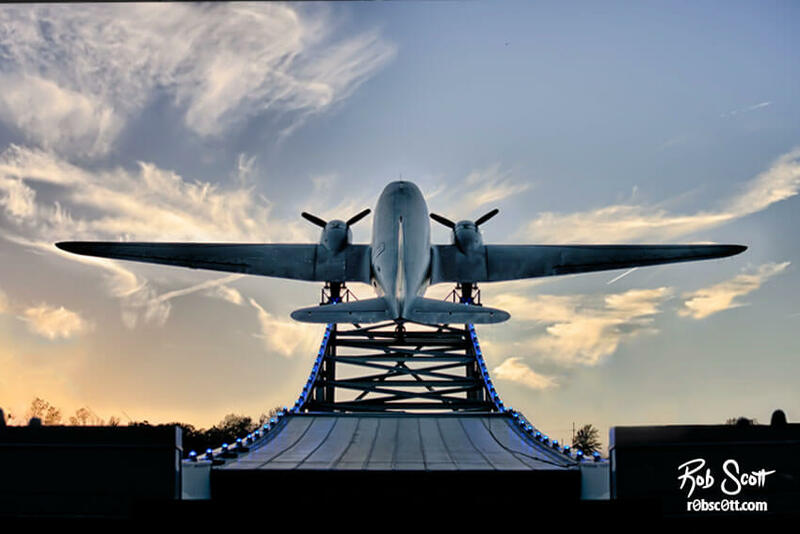 They incorporated a big part of their branding, a Douglas DC-3, into the building, creating a completely unique and very memorable addition to the Kansas City skyline. You can read more about the plane and watch a video on the installation of the plane at the Roasteries website.